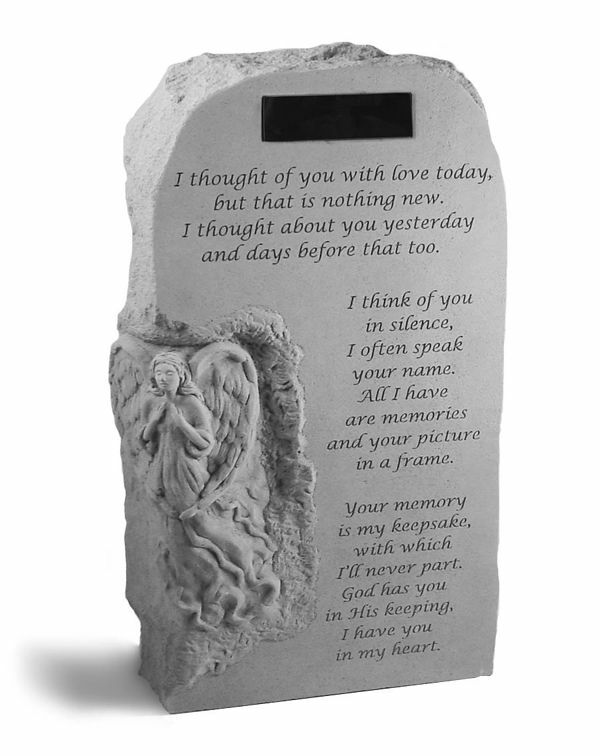 With a touching sentiment etched within the surface, the personalized I Thought Of You With Love memorial totem is a comforting sympathy gift of remembrance. The garden memorial totem stone is made of cast stone concrete. The durability of the stone provides a lifetime of beauty. Memorial stone measures 23" x 13.5" x 5"